In this class you'll learn all about Fantastic Fusibles in fun, cool ways. 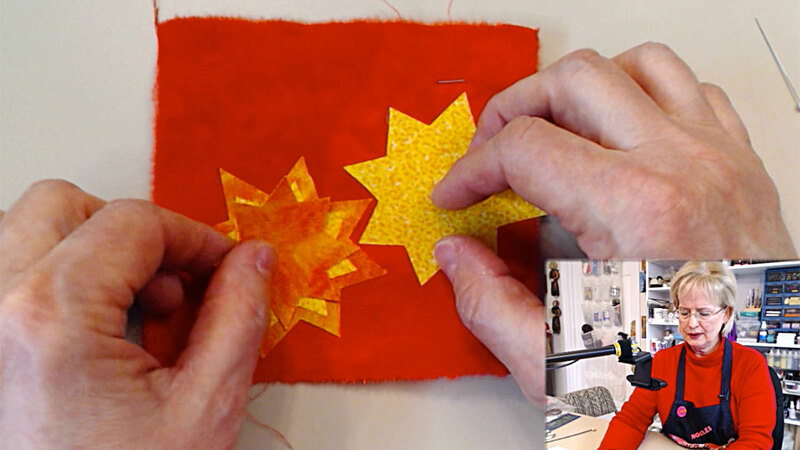 You'll learn all about several different types of paper-backed fusible webs, how to properly create letters, layered appliqué and much, more. Also, in class you'll learn about fusible web that has no paper backing and how to use it to its best advantage. Members, simply click the purple button below to watch the entire 1hr 15min video class. To become a new member, just click the green button below for access to ALL the video classes. It's easy! P.S. Please leave a comment below. Treat yourself to the Fun of connecting with people who Love and Appreciate the same creative things you do. Click the "Signup Now" button!